Marley Brooker – King Crookz #MarleyMondays – Are U Relentless? 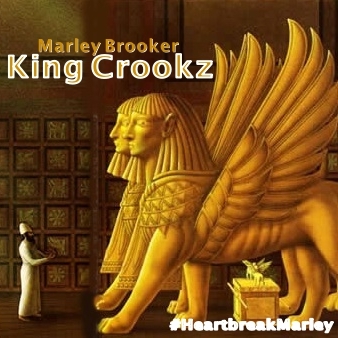 “King Crookz” is a song off Marley Brooker’s new #HeartbreakMarley double disc mixtape. It references off King Asa in the bible, the grandson of Solomon. Special s/o to Miss Cash’s cousin Tessa for the audio excerpts. This entry was posted in Art, Mixtapes, Music, Songs and tagged Heartbreak Marley, King Crookz, Marley Brooker, Marley Mondays, Relentless. Bookmark the permalink.